Scarlett Solo is our simplest and most compact interface. It's ideal for singer songwriters and guitar players looking for the easiest way to record studio-quality music onto Mac or PC. 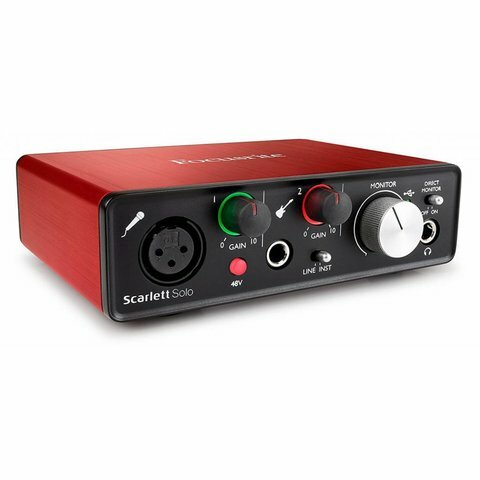 If you want a great mic and headphones as well, take a look at Scarlett Solo Studio Pack. It gives you closed-back studio quality headphones and a large-diaphragm condenser microphone, plus a cable and stand clip, so you can set up and record straight away.